During the last two years, GCP has been advancing discussions and concrete action around measurement of sustainability at different levels. Since GCP aims to improve producer’s livelihoods & income through its work with members and country platforms, facilitation of measurement is key to advance learning what works, as well as meaningful action and investment. During the past year, an international expert group reviewed the concept and utility of 15 high level coffee sustainability indicators, based on the Sustainability Progress Framework which had been previously and jointly identified by members and partners of the Sustainable Coffee Challenge and the GCP. This milestone for the sector has set in motion The Coffee Data Project. 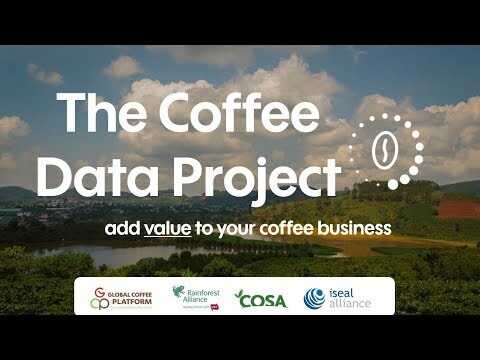 In partnership with the Committee on Sustainability Assessment (COSA), Rainforest Alliance and supported by the ISEAL Fund, the Coffee Data Project specifies the 15 high level indicators and makes them operational: it aims to distil a common set of the most widely used metrics to measure sustainability performance as well as develop a technical standard to facilitate data interoperability & exchange between different data platforms and technologies. The open access to these standardized metrics will greatly benefit our members’ own measurement efforts, enable the Country Platforms to incorporate such performance metrics over time, as well as enable the reporting of impact against the Sustainable Development Goals (SDGs). The results will be shared by end of March. In 2018, we announced the field test and outlook for a pilot of GCP Progress in Vietnam. Contributing to the Vietnamese Coffee Sector Information System of the government, This pilot aims to assess, how far Vietnamese coffee farmers understand and adopt good practices of coffee production based on the Vietnamese National Coffee Sustainability Curriculum, while improving their knowledge of sustainability issues in coffee farming. The results will be shared in a couple of weeks. Find out here what was behind the idea and how the project was crafted to respond to the needs of the country’s Coffee Platform and its farmers. Check the Vietnamese pilot’s background story.